Remember a number of weeks back when Team Ninja main-man Tomonobu Itagaki put Tecmo in their place by calling it quits just hours before Ninja Gaiden 2 was set to hit store shelves? If you remember that, you might also remember that not only did he jump ship at a most unfortunate time, but he was also taking his former employer to task for unpaid wages and bonuses that he and other members of his team were apparently supposed to receive, but never did. In the days since the actual court action has started, a few interesting details have emerged. Most notable of those details would have to be the fact that Itagaki’s press release was, perhaps, misleadingly worded. While Itagaki was indeed correct that he would “be leaving Tecmo on July 1st”, he conveniently failed to mention that he was actually fired from the studio on June 18th. That’s right, the “Master Ninja” did not walk out the door with his sword covered in blood. He was unceremoniously dispatched for reasons that have not yet been disclosed. 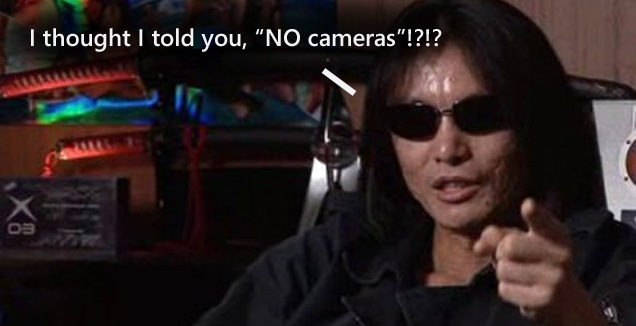 Not surprisingly, Itagaki claims that he was let go “without reasonable cause”. It shouldn’t be too long before this little feud gets even bloodier, so get your popcorn ready.